Escape Reality’s uber-real and movie-inspired escape room games in Edinburgh engage the hero in you, as you overcome challenges and defeat your doubts on the way to victory. Learn more about each game by clicking on the poster. In 1934, Alcatraz transformed into a maximum high-security prison housing the most infamous and dangerous criminals. Situated in the chilly waters of San Francisco Bay, no prisoner has ever successfully escaped. Alcatraz has just reached its maximum capacity for the first time in history – because of you. You are all masters of escaping and no prison has managed to contain you. As highly skilled individuals you have been plotting your escape plan and now the time has arrived. A diversion has been caused by other inmates and the warden has sprinted off to help, leaving you in your cells unguarded. This is your prime opportunity to make your escape attempt. Can you escape before he returns and catches you? You have discovered an old board game in your attic and once opened you are engulfed by a vortex and transported into an alternative realm. After only seeing a glimpse of the terrible world inside you are thrown back into reality. Vowing never to approach the game again you attempt to leave but the door has been locked trapping you in. Glancing over to the game you see the words “The dice have been rolled.” You have no choice but to complete the game or be trapped inside the other realm for eternity. You only have sixty minutes to complete the game! It is currently 1841, a time where the presence of Vampires has existed and been well documented for many centuries. You are in a small region of Romania, West Transylvania, investigating the untimely deaths of your close friends. Upon examining their bodies, all signs point to the presence of an infamous Vampire. You must use your skills to identify and find the most dangerous Vampire known to exist in the current world, Nosferatu. Will you become the prey or the predator? Rolling Hills Asylum became a derelict building after closing its doors 50 years ago. Rumour has it spirits were left behind and continue to roam the halls. You have broken into the derelict asylum to see if the rumours are in fact true. After feeling uneasy once inside you attempt to leave but you have lost your way. 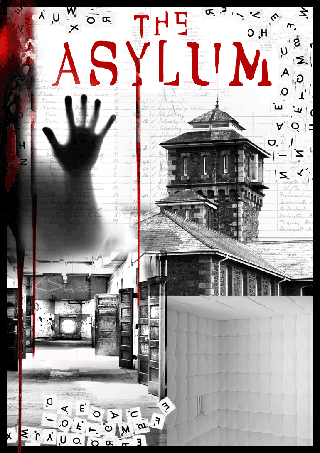 Can you escape from the asylum before the spirits that remain here capture you! Port Royal, 1718. Piracy in the Caribbean is spreading more than ever. You are the Captain of the famous Mariposa ship. Your crew has formed a mutiny and locked you and some of your friends in the prison of your ship. 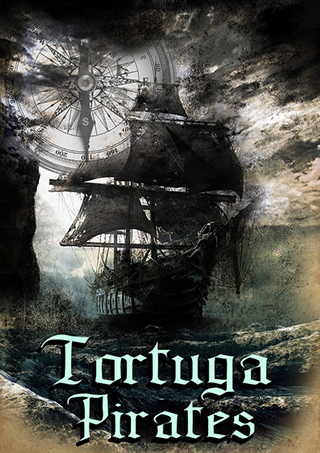 But you can’t stay there, you need to complete the mission you were undertaking: to find Derdrake’s treasure buried somewhere in Tortuga Island. You need the treasure to get rid of a terrible curse that will transform you into a spectre. You need to hurry, the prophecy will come true with the First Moon.